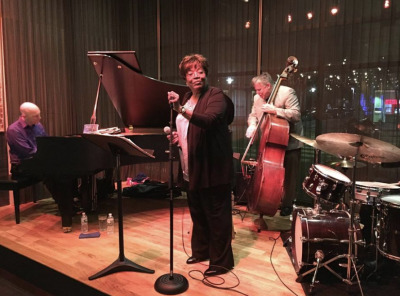 Eula Lawrence was called one of Boston’s finest vocalists by Eric Jackson, Boston’s Dean of Jazz and WGBH Radio host. Eula has been a featured artist at both the Boston Globe Jazz Festival and the Toulon Jazz Festival in Toulon, France. In addition to opening for such stars as Eartha Kitt, Linda Hopkins, Jim Bailey, Vic Damone, Jimmy James and Della Reese, Lawrence has performed with many of the top names in jazz including George Benson, McCoy Tyner, Donald Byrd, Bobby Timmons, B.B. King, Johnny “Hammond” Smith, Roy Haynes and Antonio Hart.